This innovative poster represents the first time the animal kingdom has ever been shown through the development of the animals’ physical characteristics. It graphically explains how the main branches of the new cladistic classification system were established. A clade is a group of organisms that share a common physical characteristic. Animals differ from other life forms in that they have at least two cell layers. This characteristic defines the Metazoa (animal kingdom) clade. Primitive sponges and jellyfish were the first animals. Then came the addition of a third cell layer, resulting in a third clade. The poster begins with the simplest animals, then progresses to the most complex, showing all of the important changes. A branching system design presents the nine primary clades, which are then divided to the next level. Detailed illustrations show many representative species. All are identified by captions. 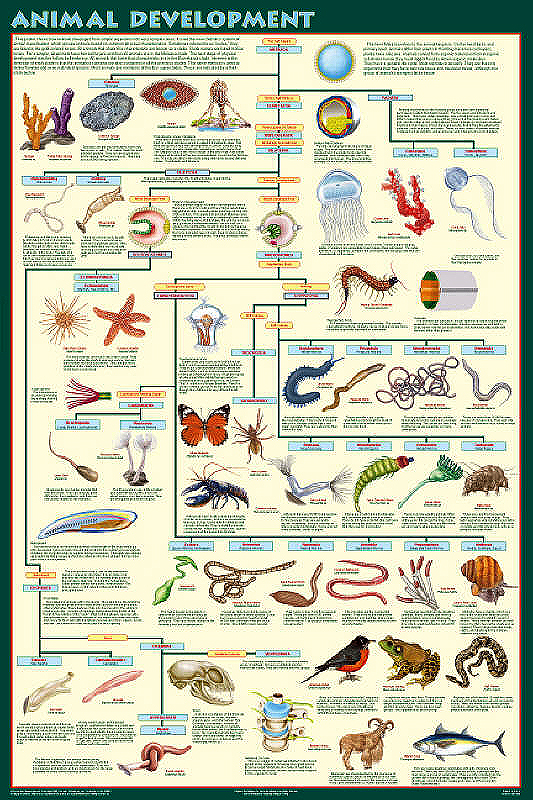 This poster is largely devoted to the invertebrates. The presentation shows how the various groups are related to one another, making it easy to understand their similarities and their differences. The vertebrates are summarized in the lower right corner. The complexity of the subject resulted in them being treated separately in Milestones of Vertebrate Evolution. The third (triploblasic) cell layer permitted the development of a more complex body. This clade is unique in that the animals share a second common characteristic. They are also bilateral; each half is the mirror image of the other. Authorities disagree as to which of the two characteristics should be the defining one. 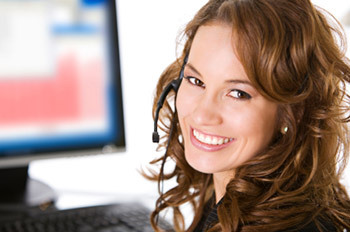 This has resulted in the clade being referred to by two different names, Triploblastic and Bilateral. The poster cites both. The Lophophotrochoa clade contains the animals that have trochophore larva. These are arranged into three clade / phyla - the bryozoa, the brachiopods and the Phoronida.